ALBUQUERQUE, NM -- April 21 –New Mexico Film Office Director Nick Maniatis announced today that principal photography is scheduled to begin, May 4, on the sequel to “Independence Day.” Twentieth Century Fox releases the film in theaters worldwide on June 24, 2016 (June 23 in the Philippines). After “Independence Day” redefined the event movie genre, the next epic chapter delivers global catastrophe on an unimaginable scale. Using recovered alien technology, the nations of Earth, anticipating the invaders’ return, have collaborated on an immense defense program to protect the planet. But nothing can prepare us for the aliens’ advanced and unprecedented force. Only the ingenuity of a few brave men and women can bring our world back from the brink of extinction. The film stars Liam Hemsworth (“Hunger Games”), Charlotte Gainsbourg (“Nymphomaniac”) , Jeff Goldblum (“Independence Day”), Vivica A. Fox (“Independence Day”), Bill Pullman (“Independence Day”), Judd Hirsch (“Independence Day”), Jessie Usher (“When the Game Stands Tall”), Joey King (“The Conjuring”), Brent Spiner (“Star Trek: The Next Generation”), and Travis Tope (“The Town that Dreaded Sundown”). Dean Devlin (“Independence Day,” “Godzilla”), who produced the original film, produces with Roland Emmerich and Harald Kloser (“2012,” “The Day After Tomorrow”). Larry Franco and Carsten Lorenz are the line producers. Ute Emmerich is the executive producer. 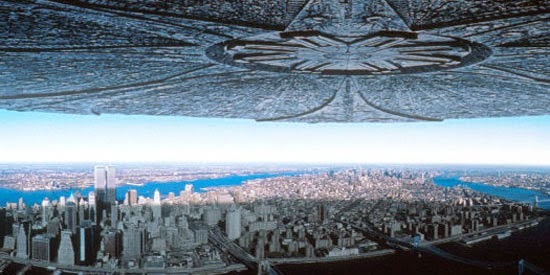 "I’m beyond excited to bring the sequel to ‘Independence Day’ to New Mexico,” said Director Roland Emmerich. “With their state of the art Albuquerque Studios, the robust tax incentive program, the proximity to Los Angeles and last not but least its talented cast and crew make New Mexico a great fit for my movie."